Cougar Pro is a line of competitively priced, professional-grade hand tools. 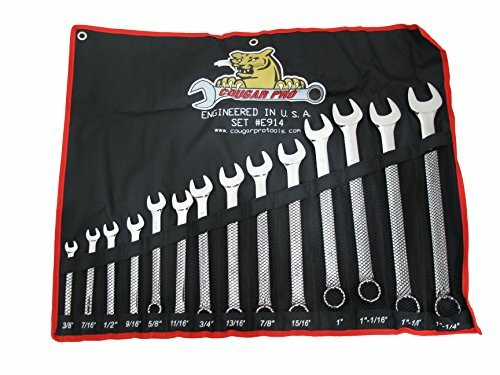 The line includes combination wrenches, single wrenches, adjustable wrenches, sockets and several sets. Cougar Pro tools are designed and engineered in the U.S.A. and manufactured using high-alloy steel for added durability. All Cougar Pro hand tools meet or exceed appropriate ASME Standards. If you have any questions about this product by Cougar Pro by Wright Tool, contact us by completing and submitting the form below. If you are looking for a specif part number, please include it with your message.